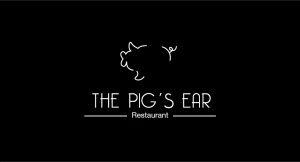 There’s nothing better than a great meal out in the surroundings of The Pig’s Ear Restaurant. To make sure that you have the perfect night with us even on the busiest of evenings or lunches we would love to hear from you in advance so we can get things just right. Please understand that our restaurant is not suitable for children under the age of 12. The perfect gift for friends, family or business associates. Whatever the occasion – birthday, anniversary, wedding present or simply a thank you. The Pig’s Ear voucher is a gift to treasure. Treat someone to lunch, dinner, or even a bottle of bubbles to help add to the celebration! Click here to buy a voucher online or please call us to buy gift vouchers & we can email or post it to you!